New York is a destination which witnesses travelers passing by throughout the year. For work or just for a break, New York City is a city that must be experienced. As crowded as it is, New York has much to offer the curious traveler. 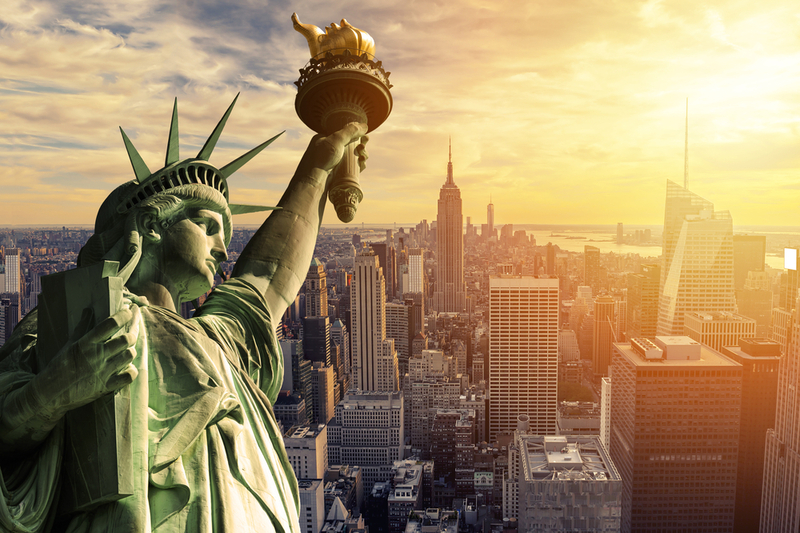 Right from being part of a helicopter tour to get the best aerial views of Liberty Island to having the best $1 slice of pizza you ever had, there is never a dull moment in New York. Many people flock to New York during winter to enjoy the holiday season. The city shines brighter than usual and the crowds swell. As fun as it can be to get lost in the crowd, New York has more to offer. Plan your trip during the two best seasons instead. When: Spring in New York is from March to June. 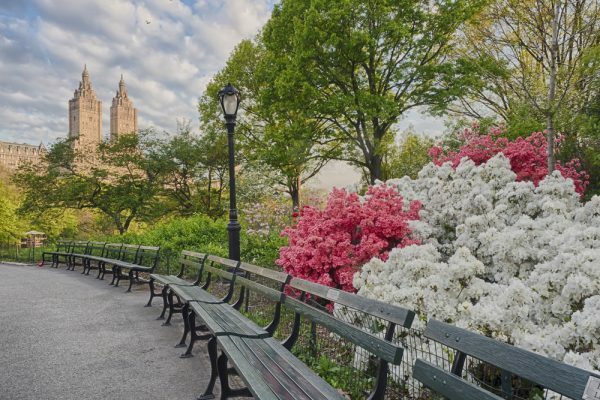 Weather: Spring is the time when the parks in the city come to life. The weather starts getting warm but is still rather cool. Warmer days can see temperatures of around 15 degree Celsius or can drop down to around 2 degrees Celsius. Spring is the time when it rains in New York. Spring is not a time when there is torrential rain. The rain in spring is sporadic and scanty. Just enough to make the weather pleasant. Wonders: Spring brings life back to the city in many forms. Orchid Shows and cherry blossom viewing at the botanical gardens ushers in a season of greenery. Central Park is the best place to visit in spring. The activities that you can enjoy there are limitless. New York helicopter tours in spring can give you a bird’s eye view of the lavish green parks. From your New Your airport helicopter tour you might spot the ballparks crawling with life. Spring is the baseball season. Whether you are familiar with the sport or the game is new to you, a day at the ballpark can give you a good glimpse of the local life. Spring is the time to enjoy the city outdoors. Walking and cycling tours of the city take place in different parts of the city. Art Fairs are also common during spring. You can locate such regular as well as pop up art fairs by tracking them online. When: September to December is Fall in New York. Weather: Fall, just like Spring, the weather is mild. The summer heat dissipates as the days pass. As winter approaches the temperature keeps dropping. But fall is never cold. Unlike Spring, Fall is dry making it the best time for helicopter tours of New York. Wonders: There are many events that happen locally during the fall. You need to keep your social media senses sharp to track down the best events to attend. Halloween in New York is a rage. You can go back to dressing up for Halloween and visit one of the thousands of Halloween parties. Farm tours are very popular in Fall. You can head to the outskirts of the city for farm tours. You can even enjoy farm tours within the city. Rooftop farm tours in Fall is a unique experience. 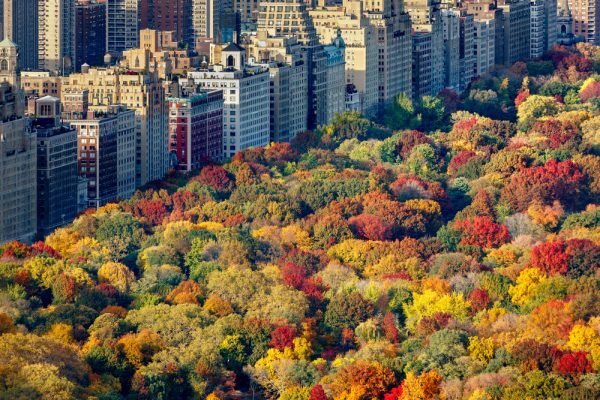 Central Park is again on the top of the main attraction list in Fall. The changing colors of the park are best viewed from a helicopter tour. Revel in the fashion, food, and fiestas of Fall.